Established for over 40 years, Harold Stock & Co Solicitors are a friendly and approachable firm with a proven track record providing high quality legal services across England & Wales. They aim to provide a real value for money service with clear, plain-English advice for both individuals and businesses across a wide range of legal matters. Offices are located in Stockport, Manchester and Mossley. Based in Wallasey, Johnson & Boon Solicitors provide a jargon-free approach to resolving legal problems quickly, efficiently and cost-effectively. An initial interview to discuss your case and receive advice is just £60, but you'll receive a £60 credit off your first invoice if you decide to proceed. Monthly payment plans available, as well as home visits for client's who can't travel. Harrison & Associates promise robust, measured advice across a range of commercial and business legal matters. Their solicitors are reliable and friendly with a wealth of experience covering everything from Shareholder Disputes to Unfair Dismissal and more. They specialise in mergers, acquisitions and business sales. Thompsons is an award-winning firm of no win no fee personal injury solicitors with a passion for justice. They recover over Ј1 million weekly in compensation for a range of claims including work injuries, car crashes, cycling accidents, travel issues and more. They handle: Work Injury, Uninsured/Untraced Driver, Unfair/Constructive Dismissal, Slip Trip or Fall, Serious/Catastrophic Injuries, Road Accidents, Professional Negligence, Personal Injury, Motorbike Accident Claims, Medical Negligence, Legal Services, Industrial Injury or Disease, Faulty Products, Employment Dispute, Discrimination and Harassment, Criminal Injuries, Asbestos Claims, Accident Compensation Claims. With over 62 years of experience, the team behind Axiom Stone Solicitors pride themselves on providing a high quality service and commercially viable advice. They build long standing relationships with clients resulting in repeat work, recommendations and referrals. They cover a wide range of business and personal matters. They handle: Work Injury, Wills and Probate, Uninsured/Untraced Driver, Unfair/Constructive Dismissal, Slip Trip or Fall, Road Accidents, Residential Property, Professional Negligence, Power of Attorney, Personal Injury, Motoring Offences, Motorbike Accident Claims, Medical Negligence, Legal Services, Landlord/Tenant Dispute, Industrial Injury or Disease, Immigration & Visas, Housing Disrepair, Holiday Sickness, HMRC/Tax Law Help, Faulty Products, Family Law, Employment Dispute, Divorce, Discrimination and Harassment, Defending Claims, Debt Recovery, Debt / Bankruptcy, Criminal Injuries, Conveyancing, Consumer Rights Dispute, Commercial Property, Civil Litigation, Business/Commercial Law, Business HMRC & Tax Law Help, Business Dispute Resolution, Business Debt/Insolvency, Arbitration (ARB), Accident Compensation Claims. A friendly but professional firm with offices in Strood, Gillingham and Rainham. V.E. White & Co have decades of experience across numerous legal sectors enabling them to provide a quality, personalised service rather than a simply clinical approach. Busy clients can request early morning, evening or even Saturday appointments. For 18 years Auto Logistic Solutions have helped drivers following an accident by listening to their needs, removing the hassle and stress, and ensuring their customer's rights are upheld. Their aim is to be people's first choice for vehicle accident management. Boyd Rice Solicitors are a progressive law firm with a strong reputation in Newtownards and the surrounding towns in the Ards Peninsula. They have offices in both Newtownards and in Belfast handling a wide range of legal matters to include injury claims, conveyancing and family law. 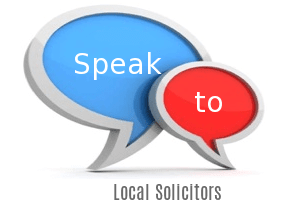 They offer a free initial consultation and will provide clear and friendly legal advice. They handle: Wills and Probate, Uninsured/Untraced Driver, Slip Trip or Fall, Serious/Catastrophic Injuries, Road Accidents, Residential Property, Professional Negligence, Personal Injury, Motorbike Accident Claims, Medical Negligence, Legal Services, Industrial Injury or Disease, Holiday Sickness, Financial Mis-selling, Faulty Products, Family Law, Divorce, Conveyancing, Civil Litigation, Asbestos Claims, Work Injury. As a Personal Injury and Housing Law specialist, SBW Law always fight for and recover the maximum compensation possible for their clients. Founded in 2006 with a 'Client is King' mentality they offer jargon-free advice, experienced lawyers, and no win no fee arrangements. Covering family law, conveyance, personal injury, crime, probate. Offices in Pontypridd and Bridgend. They handle: Work Injury, Wills and Probate, Slip Trip or Fall, Road Accidents, Residential Property, Personal Injury, Motoring Offences, Family Law, Divorce, Debt / Bankruptcy, Criminal Law, Criminal Injuries, Conveyancing, Commercial Property, Business/Commercial Law.